The table below lists some 70 impressive waterfalls of Guyana but it is very far from being complete. It does not include the countless rapids, such as the magnificent King Edward VII Falls. The data is obtained from online geographic nameservers, comparing the results to Google Earth maps, Soviet Army maps and more than 30 sources of literature. Nevertheless almost all numbers are very approximate and in real nature might be different. 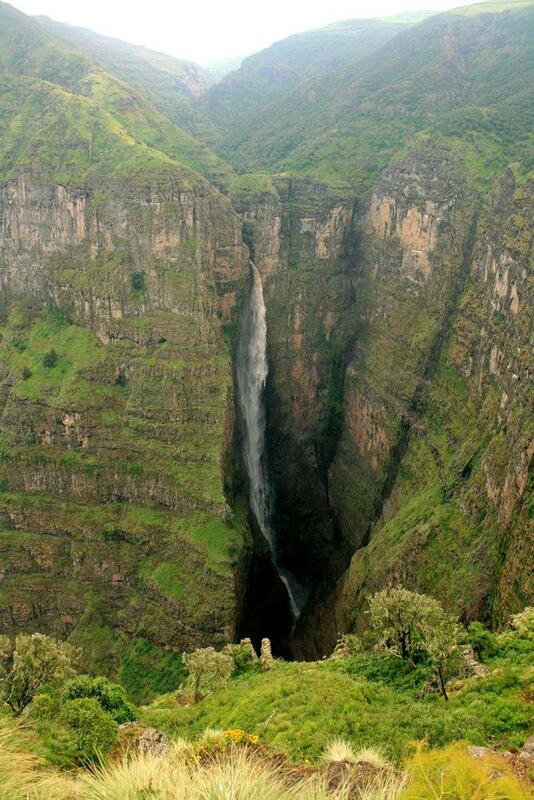 Numbers are provided for general impression about the size of waterfall. Abrawatavik (?) Falls Cuyuni-Mazaruni Membaru ? ? ? Amatuk Falls Potaro-Siparuni Potaro series of low falls ? ? Apakuni Falls Cuyuni-Mazaruni Isseneru ? ? ? Art Falls Potaro-Siparuni tributary of Kuribrong ? > 100 ? Baramba Fall Barima-Vaini Barimi ? ? ? Carriage Falls Barima-Vaini Barimi ? ? ? Corona Falls Upper Takutu-Upper Essequibo Rewa ? ˜ 6 ? Eclipse Fall Barima-Vaini Barimi ? several metres ? Eping Falls Cuyuni-Mazaruni Eping possibly – vertical plunge ? ? Goring Fall Barima-Vaini Barimi ? several metres ? Harrison Fall Barima-Vaini Barimi ? several metres ? 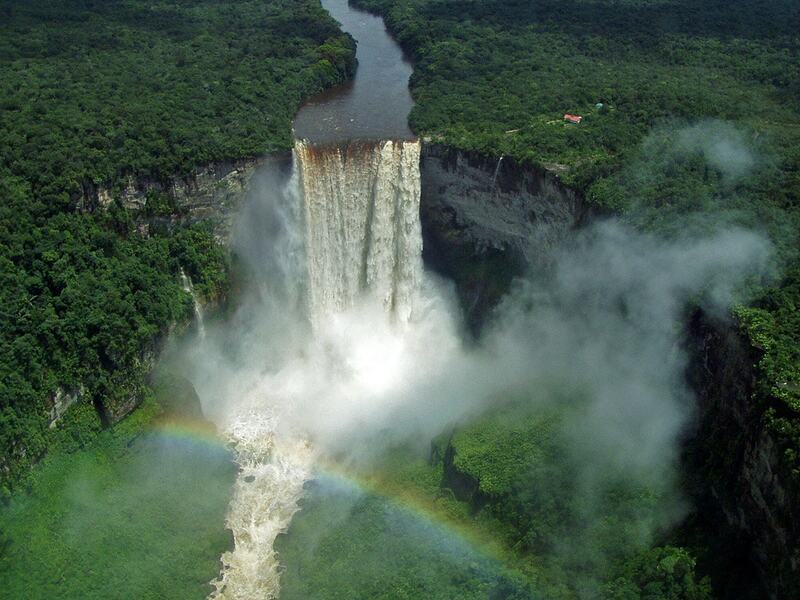 Irocosin Falls Upper Takutu-Upper Essequibo and Brazil Ireng ? ? ? Maringtuk Falls Potaro-Siparuni Siparuni ? ? ? Old Man’s Beard Potaro-Siparuni small tributary of Potaro vertical plunge > 100 ? Sakaika Falls Cuyuni-Mazaruni Ekreku ? 192 ? ? Wakowaieng Falls Cuyuni-Mazaruni Morong vertical plunge 134 ? Waratabu Fall Cuyuni-Mazaruni Ekreku ? ? ? Waterfall on southern tributary of Morong Cuyuni-Mazaruni southern tributary of Morong vertical plunge? > 120 ? In future Guyana may bring many positive surprises – this country is little explored and may hide unique natural monuments unknown to the people. 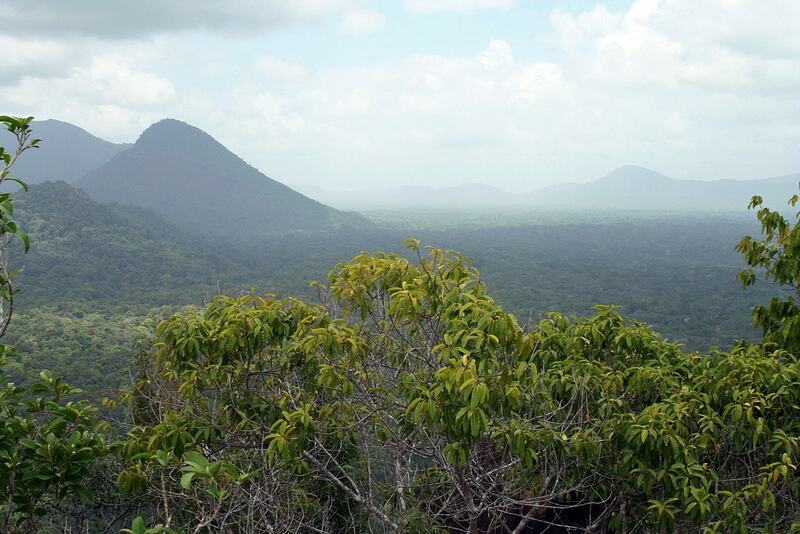 For most part Guyana consists of unspoilt nature – wast expanses of tropical forests, savanna, mountains. Guyana, Suriname, and French Guiana are among the least-known places in South America: nine hundred miles of muddy coastline giving way to a forest so dense that even today there are virtually no roads through it; a string of rickety coastal towns situated between the mouths of the Orinoco and Amazon Rivers, where living is so difficult that as many Guianese live abroad as in their homelands; an interior of watery, green anarchy where border disputes are often based on ancient Elizabethan maps, where flora and fauna are still being discovered, where thousands of rivers remain mostly impassable. A Best Book of 2017 from the Boston Globe.